Twitter is refusing to hand over a users' tweet history to the courts because it claims that they belong to the user, not to it. The New York District Attorney has issued Twitter with a subpoena demanding that it hand over three months' worth of tweets sent by Malcolm Harris, an Occupy Wall Street activist who was arrested as part of the protest earlier this year. Twitter is resisting the action and has filed a 10-page document against the order in which it says, "Terms of service expressly state: 'You retain your rights to any content you submit, post or display on or through the services'." Harris had himself challenged the subpoena, but the judge in the case ruled that he couldn't do so because Twitter owned his tweets. The social network also says that the order goes against federal law by asking Twitter to hand over the tweets without a search warrant. 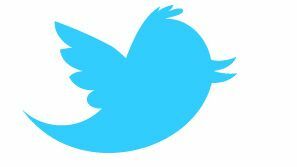 It's not the first time that Twitter has become embroiled in legal proceedings – in May last year the network was forced to hand over users' contact details over the whole superinjunction debacle, although it resisted for as long as possible.